This is superbly simple and quick to pull together. 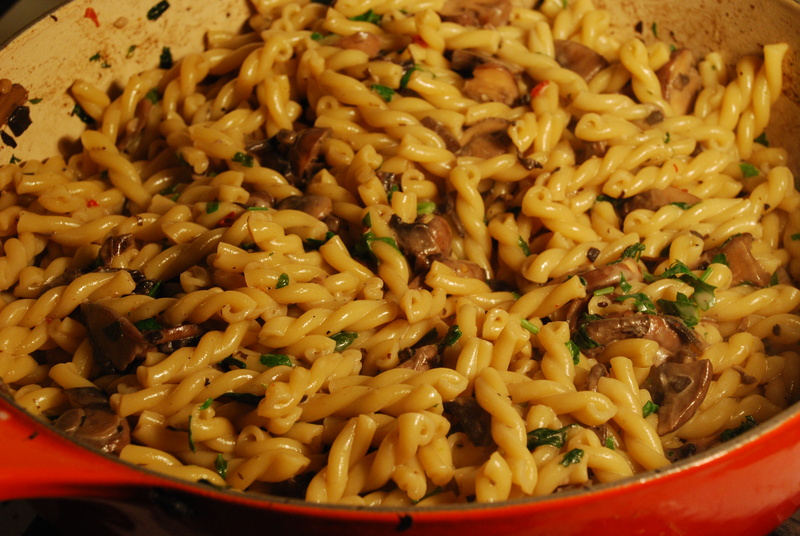 You can use any mixture of mushrooms you can lay your hands on (just avoid those flavorless plain white button mushrooms). 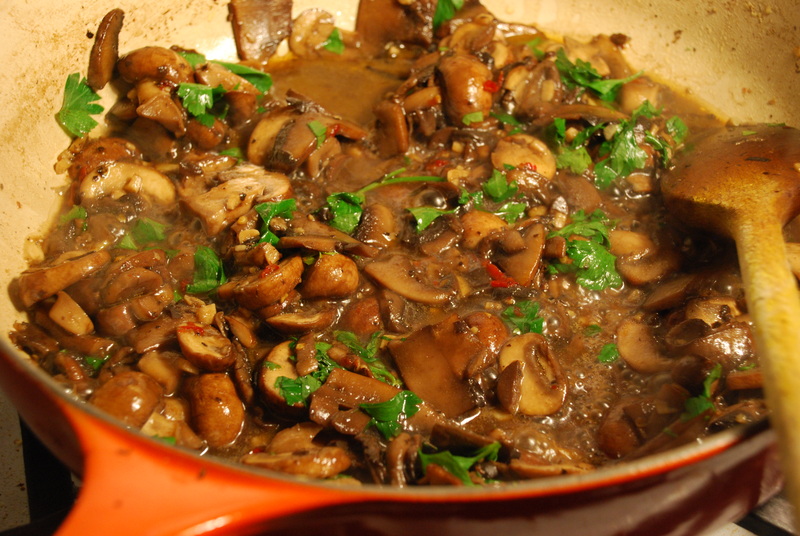 On this occasion I used 3 huge portabello mushrooms and a big punnet of brown mushrooms. 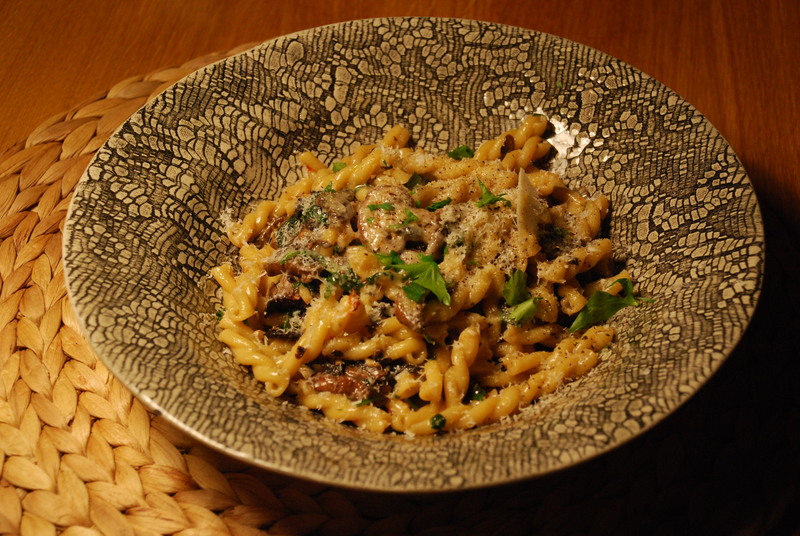 Using a variety of different mushrooms including wild ones will ensure you have a good mix of of textures and flavors. This is a perfect sauce for winter time weeknights when you crave some quick and authentic Italian. 2 tablespoons cream (optional) It is great without it too! Clean and cut your mushrooms. 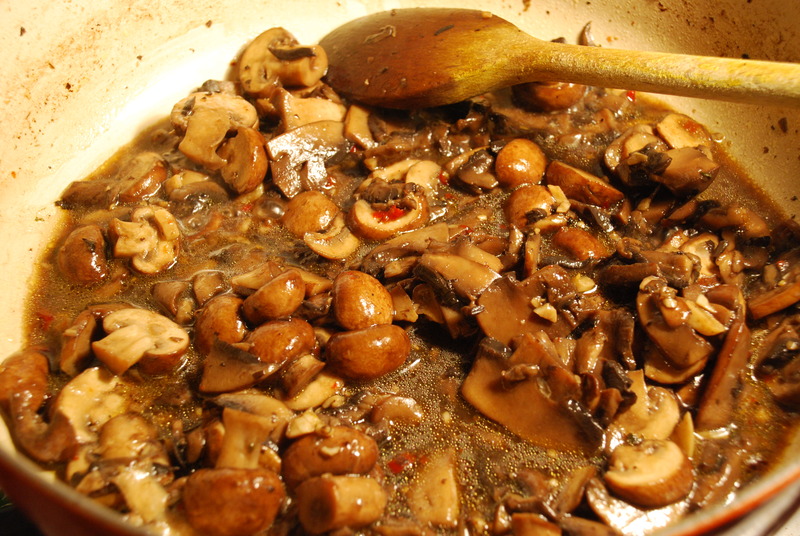 Heat the oil in heavy based frying pan and add your mushrooms. Add a little salt to help them sweet faster. Now add your garlic and chopped chili. stir and cook for 8 mins or so. Add lots of fresh creaked pepper and chili flakes if you want more spice. Add the white wine and cook till evaporated. Add the chicken stock and let the pot simmer for 5 minutes or so. Once your pasta is al dante, reserve some water to thin the sauce incase its necessary, drain pasta and toss into the sauce. If you want add a couple of spoons of cream and fresh parsley and toss through till every thing is coated in the sauce. Serve with parmesan cheese and freshly cracked black pepper.